This is the final of a three-part series of articles in which I discuss the geology of the Galapagos Islands. In Part One I talked about the tectonic plates that lie beneath the sea and under the land and explained that without the constant movement of the tectonic plates, their crashing into one another, forcing the hot magma to break through the Earth's surface (called the lithosphere), there would be no Galapagos Islands at all. Part Two focused on the actual formation of the islands from volcanic action that occurs when those tectonic plates collide. 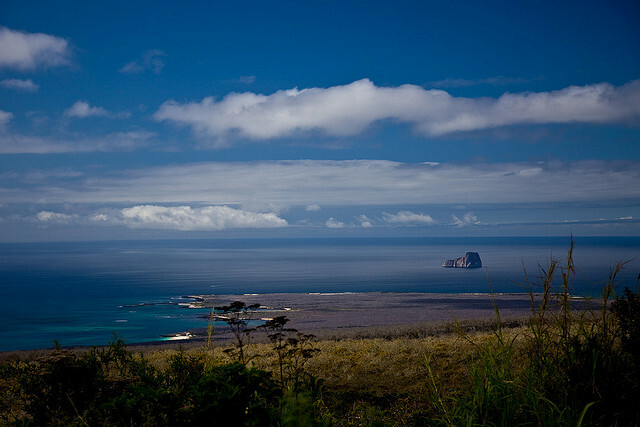 Each and every one of the Galapagos Islands, their topography, the sheer cliffs that you see and that have become the nesting sites for bird and animal life found no where else on earth, the beautiful outcroppings, marine life, SCUBA sites, black sand beaches, crystalline beaches - all resulted from volcanic activity. Here, in Part Three, I will talk about the Pacific Ocean currents, particularly how the hot and cold currents impact and define the plant, animal, bird and marine life throughout the Galapagos Islands. 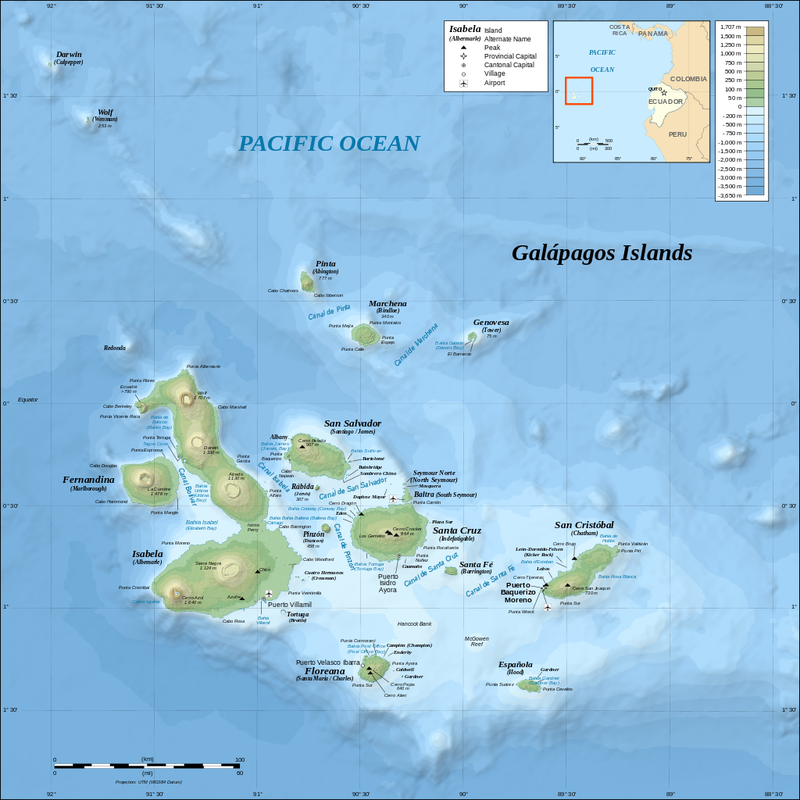 This is the second of three posts about the geography and geology of the Galapagos Islands. 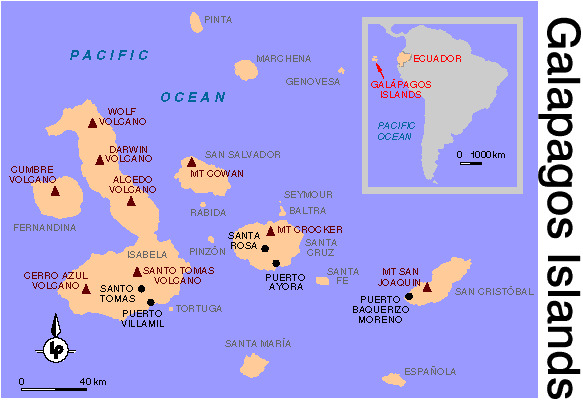 In Part One I talked about the tectonic plates that lie beneath the sea and under the land and explained that without the constant movement of the tectonic plates, their crashing into one another, forcing the hot magma to break through the lithosphere, there would be no Galapagos Islands at all. Here, in Part Two, I discuss the actual formation of the islands from volcanic action that occurs when tectonic plates collide. Each and every one of the Galapagos Islands, their topography, the sheer cliffs that you see and that have become the nesting sites for bird and animal life found no where else on earth, the beautiful outcroppings, marine life, SCUBA sites, black sand beaches, crystalline beaches - all result from volcanic activity. 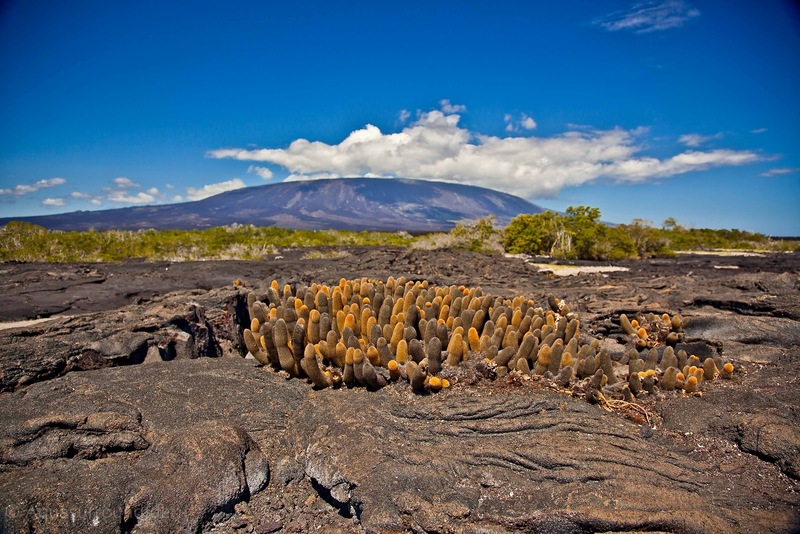 This post should leave you with a clearer understanding of the earth beneath your feet as you stand and examine and feel your environment in the Galapagos Islands. Finally, in Part Three, I will talk about the Pacific Ocean currents, particularly how the hot and cold currents impact and define the plant, animal, bird and marine life throughout the Galapagos. 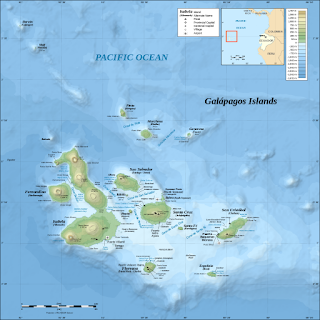 This is the first of three posts about the geography and geology of the Galapagos Islands. Each post will take you on a short journey with the explicit intention of providing basic background information about the natural evolution of the Galapagos Islands. These remote islands, unlike anything else on our planet, have a dramatic and ever-changing morphography. This article - Part One - focuses on the tectonic plates that lie beneath the sea and under the land. 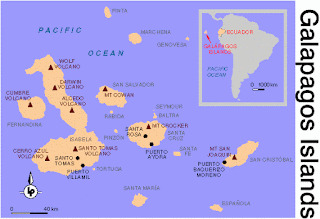 For, without the constant movement of the tectonic plates, their crashing into one another, forcing the hot magma to break through the lithosphere, there would be no Galapagos Islands at all. Part Two will discuss the actual formation of the islands from volcanic action that occurs when tectonic plates collide. 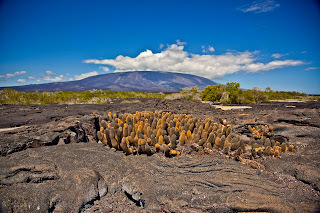 Each and every one of the Galapagos Islands, their topography, the sheer cliffs that you see and that have become the nesting sites for birds and animal life found no where else on earth, the beautiful outcroppings, SCUBA sites, black sand beaches, crystalline beaches - all is the result of volcanic activity. Finally, in Part Three, I will talk about the Pacific Ocean currents, particularly how the hot and cold currents impact and define the plant, animal, bird and marine life throughout the Galapagos.